Too many injured workers in Georgia assume that their workers’ comp benefits will appear on their own after an on-the-job injury. This is simply not the case. The injured worker or the worker’s family has several responsibilities during the claims process, and not fulfilling these responsibilities in a correct or timely manner can dash your hopes of collecting compensation. At Van Sant Law, we are committed to helping injured workers across Georgia understand the workers’ compensation process and to assisting them every step of the way. We will work tirelessly at your side from the day of your injury until your case is resolved. Call us today at (404) 991-5950 to learn more about our legal services. The injured worker notifies his or her employer about the accident. In Georgia, you must notify your employer as soon as possible after a work accident and injury, and never later than 30 days after it occurred. The injured worker seeks medical assistance. Also as soon as possible, get complete medical care for your injuries. Although you may see any doctor in the case of an emergency, your employer may limit you to seeing certain medical professionals if you are seeking non-emergency care. Your doctor will evaluate your case and report back to your employer. Be sure to follow the doctor’s orders closely and get a second opinion if necessary. Your employer files a workers’ comp claim. Your employer is responsible for notifying both the insurer and the state workers’ compensation board of your on-the-job accident and injury. Your claim is either approved or denied. If your claim is approved, you will soon begin to receive workers’ comp payments. If your claim is denied, you should quickly determine whether the denial was for a valid reason and then decide whether or not to appeal the decision. If your claim is denied, you can appeal the decision. If you believe your claim was wrongly denied, you can request that it is heard in court by an administrative law judge (ALJ). 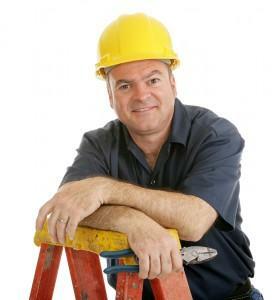 At this point in the process, you may benefit from the help of an experienced workers’ compensation attorney. You may continue to appeal your case to a higher court. Even if an administrative law judge also rejects your claim, you may appeal again as long as your requests for an appeal is granted. Your injured worker attorney can work with you to decide if you should pursue an appeal. After your claim is rewarded, you are monitored throughout your recovery. Your payments may be stopped or altered when you recover, return to work, or discover a permanent disability. You will stay in contact with your employer, the insurance company, and your doctor throughout this time period. All Workers’ Comp Claims Are Different. Get Expert Help Today. It is imperative to understand that while the above steps follow a typical workers’ comp claim, all claims are different and workers’ comp law is very complex. Your workers’ comp claim may follow a different path than the one above or skip steps. The best way to navigate the workers’ compensation claims process is with the assistance of a knowledgeable and assertive guide. The experienced help from Van Sant Law, can help you with your case from start to finish and ensure that everything is completed quickly and correctly. To request help from our experienced GA workers’ comp lawyers, call us today at (404) 991-5950 or fill out our short online contact form.